Join us on our Tuscany Photography Workshop for rewarding and unique photography opportunities, suitable for photographers of all levels. Tuscany is the postcard of Italy, from Florence and the rolling hills of Chianti, down to the heart of Val d'Orcia. It is a region that delights the senses with never-ending landscapes, hearty food and delicious wine, miles of silence, natural hot springs and strong testimony of its history. This seven-night, seven-day journey will cover the most photographic sites that Tuscany has to offer, and we will have plenty of time to eat and drink well, take our time, discuss the subtler points of photography and fill our memory cards. Lead by Aperture Tours' senior photographers Anna Volpi and Mirko Fin; this tour will push your photography to the next level. Plenty of space will be dedicated to landscapes, but Mirko and Anna's creativity and portraiture will give you the right opportunities to step out of your comfort zone and explore your personal photographic vision. 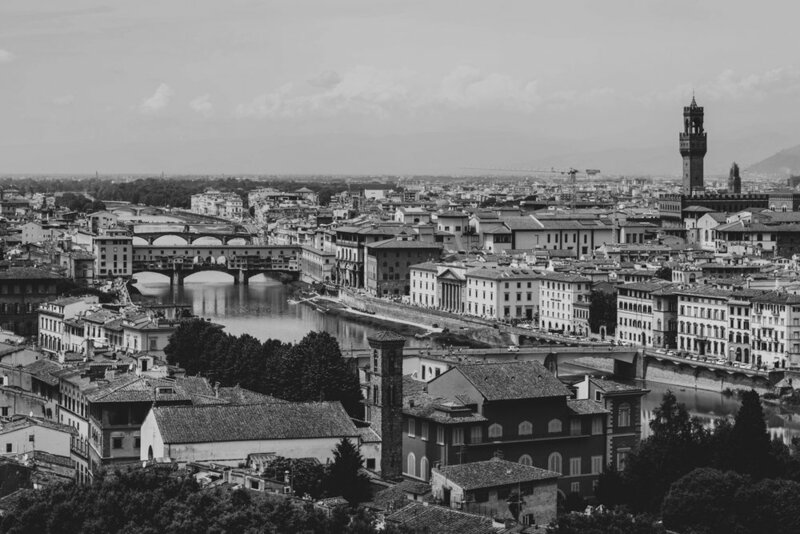 We start our magnificent journey in Florence, the capital of Italy’s Tuscany region, and home to many masterpieces of Renaissance art and architecture. We will have the chance to meet and get to know each other over aperitivo (Italian styled happy hour). After a Spritz or glass of Chianti (or both!) and some hors-d'oeuvres, we will feast on typical Tuscan food and wine. Bedtime is early as we will wake for sunrise the next day at San Miniato, the large plaza above Florence that overlooks the city. We will be travelling to a number of UNESCO World Heritage sites during the workshop, least of all Florence, but then on to San Gimignano, passing through val di Chianti. A stop at Greve in Chianti will be the perfect place to pick up some local products for a picnic lunch before shooting Montefioralle castle. Montefioralle is one of the most ancient villages of the Chianti area and is considered one of the most beautiful villages in Italy. During the afternoon we will have time to stroll through San Gimignano and shoot the view of the hills from atop the town wall. 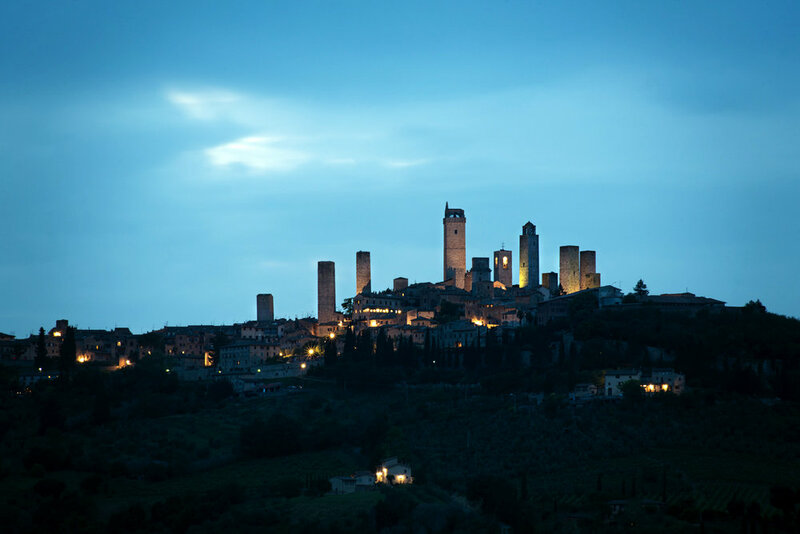 Just before sunset, we will head out to get a landscape view of the rolling hills with the towers of San Gimignano punctuating the skyline. We will be leaving early for San Galgano Abbey, a ruin of the first gothic church built in Tuscany. The light, shadows and enchanting patterns will be the subject of abstract and classical photographic technique. Then it is off towards the medieval city of Siena, another UNESCO world heritage site. During the afternoon and into the evening we will stroll through the shell-shaped town square and capture the beauty of the Middle Ages in this beautifully preserved city. 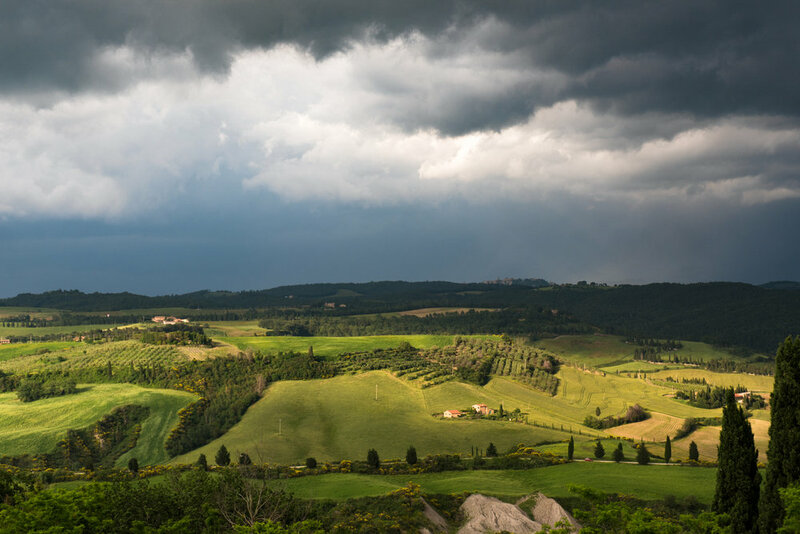 The following four days will be dedicated to the beautiful and majestic Val d'Orcia, yet another UNESCO site, known for its gentle, cultivated hills which are occasionally broken by gullies and by picturesque towns and villages such as Montalcino. The landscape here has been depicted in works of art from Renaissance painting to modern photography, and we will help you capture it all with precision. Such delicate technical consideration does not always come easily, so you will need to set your alarm clocks for those sunrise shots at Podere Belvedere and the Cypress trees near San Quirico. We are not too militant, so one morning we will also indulge in the natural hot springs of Bagni di San Filippo. San Quirico, Pienza, and the Gladiator road; all of this will be accompanied by fields of red poppies, sunrises and sunsets, rows of cypress trees, and (hopefully) morning fog nestled in the valleys. 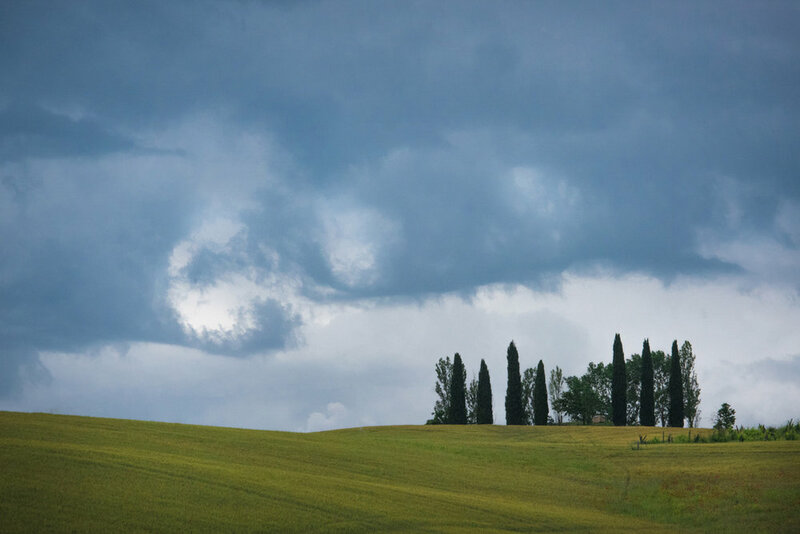 Tuscany is indeed a photographers dream come true. Of course, everything will be peppered with generous servings of tasty food and good wine. Our last day is an extra day that can be dedicated to post-production or recapturing our favourite sites or any spots we may have lost due to inclement weather. As the workshop rounds to a close, we will share our last breakfast together before we check-out, then a short drive back to Florence. We will be arriving in the city before lunch where we shall say our goodbyes. We can drop you off in the city centre, or directly at the airport. Born to an American mother and Italian father, Anna was raised in both countries and after many travels with camera in hand around the world, she settled into Northern Italy in 2007. Since then she has turned her passion into a profession, dedicating herself to photography. Anna's work revolves mostly around portraiture, reportage, travel, and feminism. Besides leading tours, which she adores, she also shoots weddings, burlesque events, personal boudoir, still life for artists, and teaches workshops on self-image and confidence using photography as a means for self-expression. She heads Studio Meraki, where she invites photographers and creatives to host seminars and events, and where anybody can use the studio or darkroom. Mirko grew up in the heart of the Northern Italian countryside between the city of love and Lake Garda. With a robust Italian spirit that never left him, Mirko soon discovered that while you can never take Italy out of the boy, you can take the boy out of Italy and the road became his home — travelling extensively across the United Kingdom and the United States. It was here that he realised his camera was an extension of his hand and photography became his life. Mirko is not only an established photography guide with Aperture Tours, but also a teacher at Verona Fotografia, one of the leading photography schools in Italy. He balances his time between corporate, weddings and conceptual photography with a glass of wine with his wife. For the past two years, he teamed up with a choreographer and a videographer to create Beyond, a multi-art project that reinvents how to observe literature. The best way to describe his photography is a single word: challenge. He challenges himself everytime he brings out his camera to find the hidden meaning locked in his mind's eye. Italy is a gastronomic destination in and of itself. With such a wide and varied selection to choose from, you will delight in the traditional Italian meals presented to you. From the famous Fiorentina steak cut to Chianina and wild boar ragù, pici pasta, or Pecorino cheese, you will come to appreciate all of what Tuscany has to offer your palate. 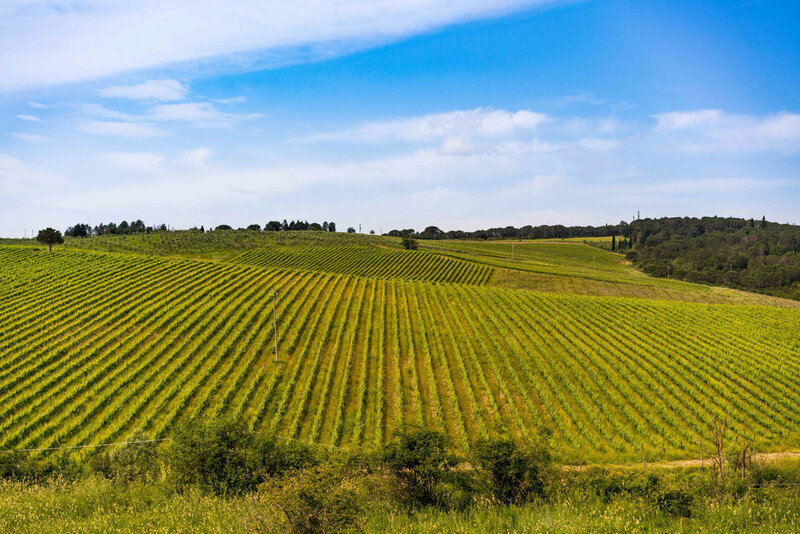 Of course, Tuscany is world renowned for its many wines, like Chianti Classico and Brunello di Montalcino just to name a couple. All breakfasts and one meal a day (mostly dinner) will be provided. We will be staying in three-star or greater hotels during our trip. Each has been selected for their value and offers a comfortable stay in well-equipped rooms. All rooms on the workshop will be provided as dual-occupancy, but a single occupancy is available for an additional €500. We understand taking the photo is only half of the battle, so we will host post-processing workshops throughout the trip to help you create images that really stand out. 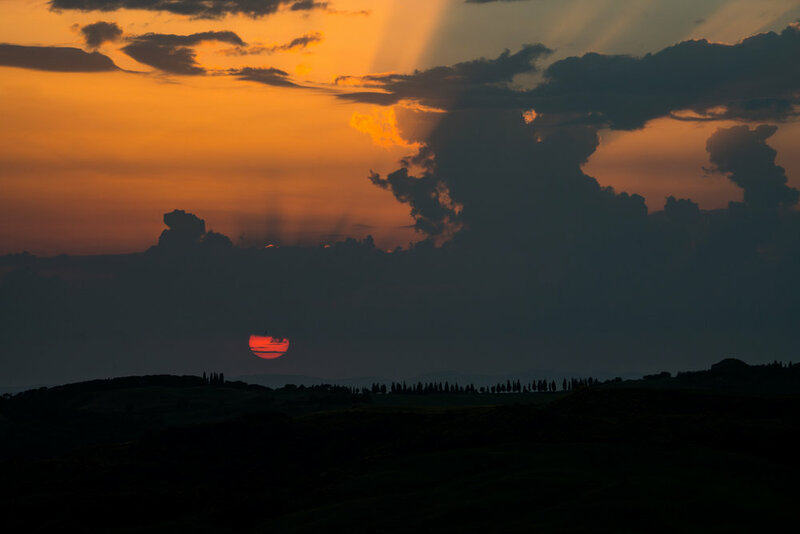 Our leading photographers will sit down with you to assist your selection process, Adobe Lightroom and Photoshop techniques and workflows, and developing your best images, so you showcase the best Tuscany has to offer. I felt the instructors push you to improve at each shoot and there was great camaraderie between all the participants. I could not recommend this trip enough. An amazing experience made better by the teaching and the company.